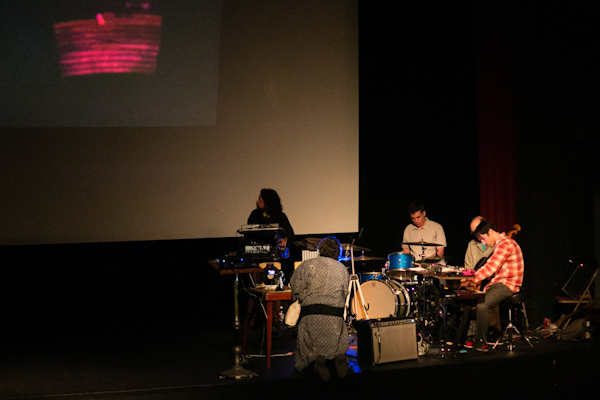 Performance at Cornell Cinema, 2014. All photos on this page by Ed Dittenhoefer. 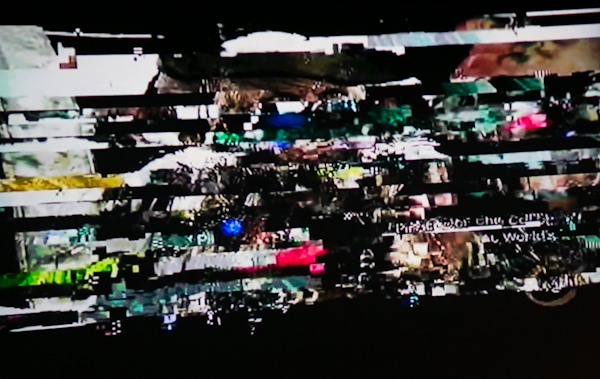 “Anthropology of Television Noise" is an ongoing multimedia project that explores the collective technological unconscious through examinations of and performances involving television noise. 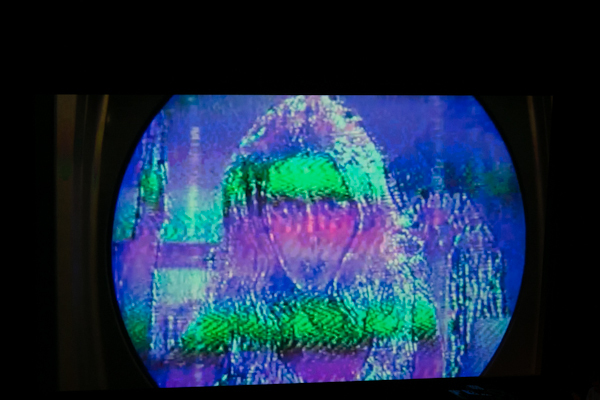 Stand-alone videos include Transmission 01, Moneyshot, and Historiography of Television Noise. Videos and live performances have taken place at Cornell Cinema in Ithaca, New York; The Squeaky Wheel in Buffalo, New York; Anthology Film Archives in New York, New York; and Union Pool in Brooklyn, New York. Collaborating musicians have included Michael Stark, Bubba Crumrine, Johnny Dowd, Richie Stearns, Matt Saccuccimorano, Brian Wilson, Eric Laine, and Hank Roberts. 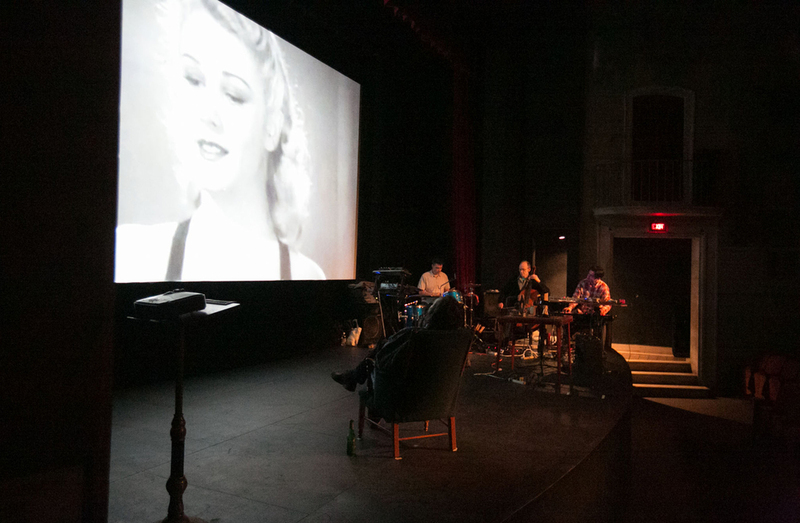 Historiography of Television Noise was screened at Cornell with live accompaniment on April 16, 2014. The event was sponsored by the Cornell Council for the Arts and Cornell’s Fanclub Collective. Musicians were the Orbiting Art Ensemble—Michael Stark, synthesizers and keyboards; Matt Saccuccimorano, drums; and Hank Roberts, cello—and Bubba Crumrine, electronics; Park Doing, mechanical television. 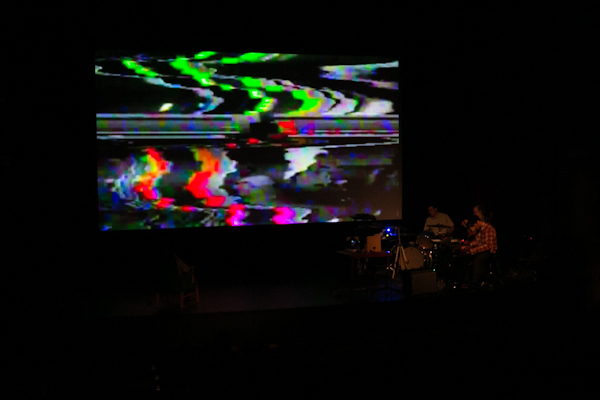 Clip shown at "Anthropology of Television Noise" at Cornell Cinema with live accompaniment from the Orbiting Art Ensemble. 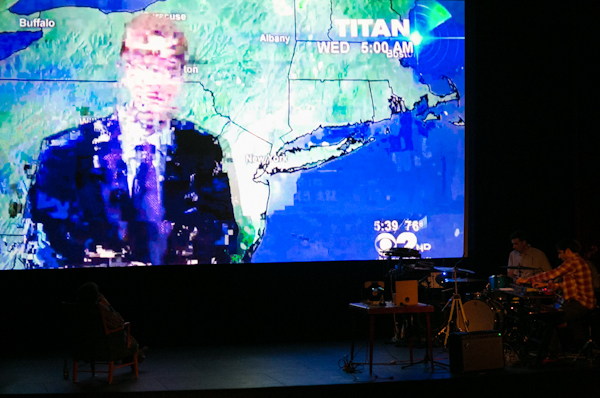 Part 1: (50 minutes) A musical conversation between Ithaca's Orbiting Art Ensemble and the historical evolution of television (with the noise disturbances left in! ), presented in video clips assembled by Park Doing. Part 2: (20 minutes) A concert with the Orbiting Art Ensemble joined by Park Doing "playing" a "mechanical TV" from the 1920s and Ithaca Underground's Bubba Crumrine playing his own collection of electronic noise-making devices. Television noise expresses the changing technological capabilities of visual broadcast technology. We are all exposed to the rhythms, colors, textures, motions, and other formal elements of television noise in the course of our lives. What is the effect of this "unconscious" visual and sonic interaction with technology? How are engineers involved in this "cultural technological unconscious"? Come relive the history of television through the artistic noise made by the machines themselves and celebrate our continued cultural collaboration with them! Mechanical television noise (reproduced), 1920s.